This Situation Update describes events occurring in Kyaukkyi Township, Nyaunglebin District between January and May 2017, including land confiscation, education, Tatmadaw activities and two killing cases which were committed by Tatmadaw soldiers. Local villagers have been trying to regain their land ever since it was confiscated by Tatmadaw Light Infantry Battalion (LIB) #550, LIB #599, LIB #60 and LIB #351 63 years ago. The land is near A--- village, Mee Chaung Kone village tract, Kyaukkyi Township, Nyaunglebin District. While LIB #550, LIB #599 and LIB #60 have now returned the confiscated land to the original land owners, LIB #351 is yet to return their portion of the confiscated land. 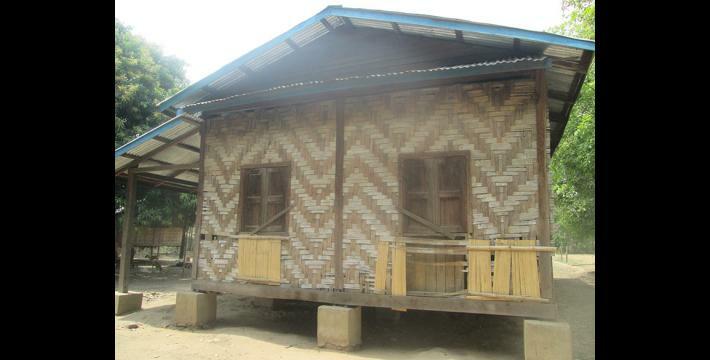 Villagers from B--- village, Tha Pya Lar village tract, Phyou Township (Bago Division), Nyaunglebin District said that a newly constructed Burma/Myanmar government primary school in their village is of poor quality. 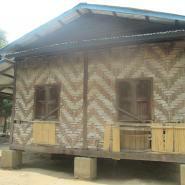 Therefore, they reported it to the Ministry of Education and Ministry of Ethnic Affairs in order for them to reconstruct the school to a higher quality. 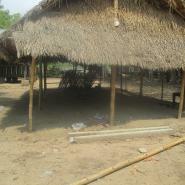 However, villagers have yet to receive either a reply or support for the repairs. 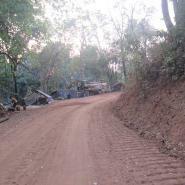 On February 16th 2017, LIB #20 started construction of a road near Thel Phyu Chaung river, Kaw Pyin village, Mone area, Kyaukkyi Township, Nyaunglebin District. However, they did not consult with local villagers before they constructed the road, nor did they ask for permission from local armed groups. They said that they constructed the road for rural development although local villagers interpreted the construction as being for military use. On March 18th 2017, a C--- villager named U D---, was shot and killed by Tatmadaw soldiers from LIB #589 at a gold mining site in Shwegyin Township. The leaders of the Tatmadaw and the gold mining company each provided one million kyat (US $736) to the victim’s family as compensation. 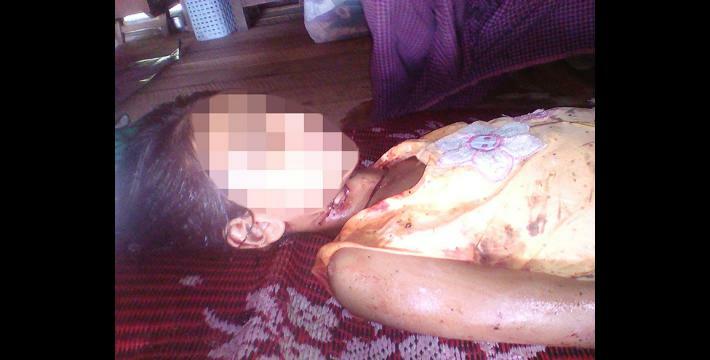 On May 14th 2017, an eight year old girl, named Nan E---, was held hostage and killed by a Tatmadaw soldier from LIB #598 at the army camp in C--- village in Shwegyin Township. The LIB #598’s Battalion Commander and Headquarter Commander each paid one million kyat (US $736) to the victim’s family. 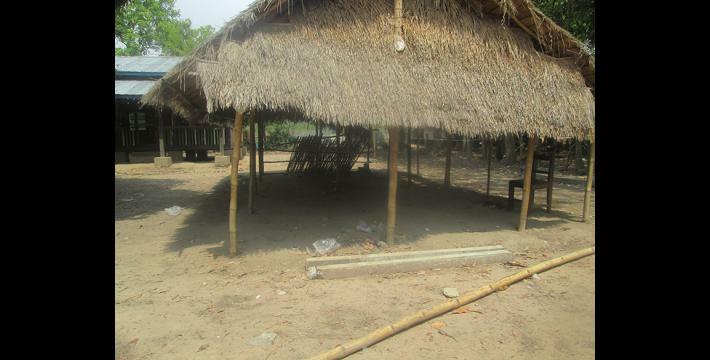 As a result of these two killings in the same village, many villagers felt afraid and unsafe, and raised their concerns about the Tatmadaw army camp based around the village. 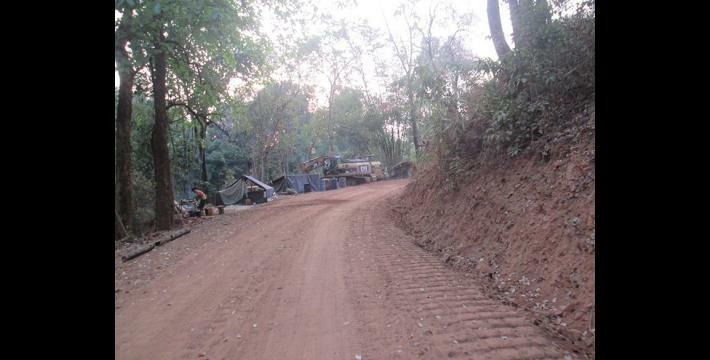 They verbally requested the Tatmadaw leaders to withdraw the army camp from its location near the village. For more information regarding this case see the KHRG report, “Two separate killing incidents committed by Tatmadaw soldiers in Shwegyin Township, Nyaunglebin District (March and May 2017),”September 2017. Nan is a P’wo Karen title used for females, before their name.